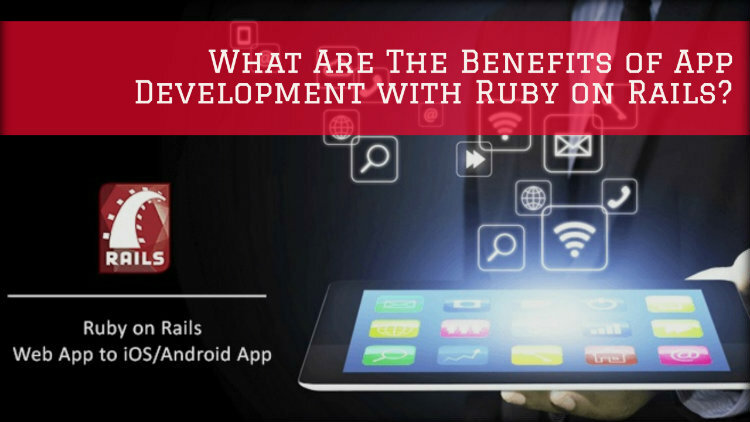 What Are The Benefits of App Development with Ruby on Rails? The craze for Ruby on Rails framework is increasing exponentially. Startups to big giant companies are leveraging this framework’s power to enhance their overall productivity. The app developers at Webzemini have listed a few advantages of this framework below so that you might want to consider this framework for your next application. Faster code development: This is probably the most significant advantage of using this framework. Faster code development leads to a reduced development hours, which means you can have a powerful application quickly without compromising on performance and quality. Our developers are saved from writing lines and lines of code when using Ruby on Rails and this helps to decrease the overall app development time. Furthermore, we can quickly switch from the planning to the actual development stage. Reduced costs: As mentioned above, Ruby on Rails helps to reduce the overall app development time, which results in a significant reduction of costs as well. Moreover, this framework is completely free; therefore, you can complete your project without having to burn a hole in your pocket. Ruby on Rails runs on Linux, which is open source and our developers love working with this framework. Expandable and multipurpose apps: Ruby on Rails is extremely easy to use and this is why we recommend this framework to our clients. By using this framework, you can use the existing elements for your future projects also and can avoid having to invest in the design and development process from the scratch. This framework can help you build multipurpose and expandable apps. Do you want to know more about Ruby on Rails? You can contact Webzemini without any hesitation. As one of the leading Ruby on Rails mobile app development companies in India, we guarantee to provide you with scalable and ROI-focused app solutions. Just tell us your app requirement and our team of experienced app developers will provide you with a bespoke solution. You can count on us from the start to the completion of your project.